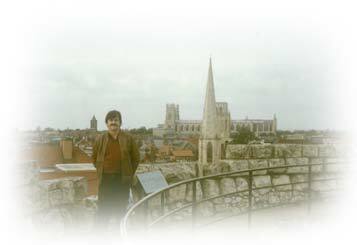 Internet « Blog Marcos L. Mucheroni Philosophy, Noosphere and Ciberculture. Talvez a mudança de mentalidade mais importante para o mundo contemporâneo seja uma mudança radical no ensino, é o que propõe, aos 95 anos, Edgar Morin. Na palestra que deu no Brasil em “Fronteiras do Pensamento” ele afirmou: “ Acho que é preciso ensinar não só a utilizar a internet, mas a conhecer o mundo da internet. 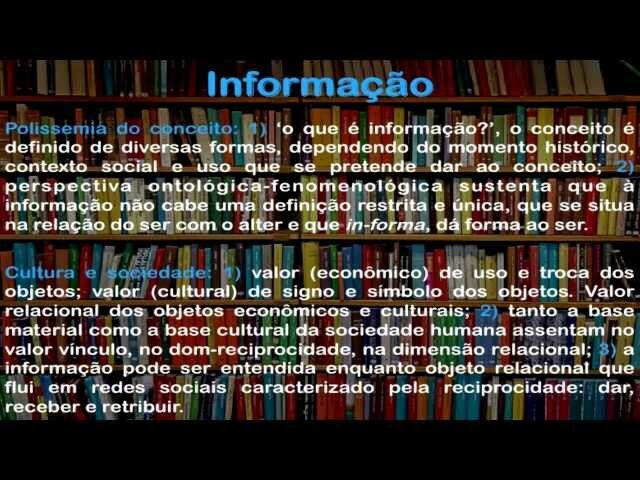 É preciso ensinar a saber como é selecionada a informação na mídia, pois a informação sempre passa por uma seleção – como e por quê? É preciso ensinar, há todo um ensinamento, para nossa civilização, que não está pronto. Tem isso e ainda o ensino dos problemas fundamentais e globais. Essa é a reforma fundamental que precisa ser feita”. Ainda estamos patinando na compreensão desta nova e radical forma de comunicação que já dominou todo o planeta e prepara uma civilização que prepare uma cidadania planetária. Mais do que ensinamentos acumulativos, divisão rígida em disciplina, a Finlândia é o primeiro país a abandonar isto, é preciso entender que devemos encaminhar um ensinamento da vida, da convivência, do olhar para o outro. 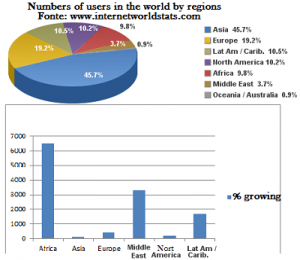 The number of accessions is increasing on Facebook, but the criticisms and concerns about privacy and individual rights is also evolving rapidly in Europe, where the number of accessions is not as great as in the Americas, Asia and even Africa which has the largest growth in number of subscriptions on the Internet as the site Internet World Stats. But still the reactions are of various types, the European Commission recommended the citizens who do not want to have their personal data in the hands of US security services must avoid various media networks including Facebook, according to the newspaper “The Guardian” in the publication last Thursday, March 26th. The suggestion, according to the English daily, was taken by attorney Bernhard Schima Commission, the prosecutor Yves Bot, at a hearing of a case in which they check the level of privacy in the social network. Schima was an agreement between the EU and the US to exchange of personal data between the two regions, a process called Safe Harbour, what happens in reality is that states have an interest in controlling the information of citizens and this is still complicated. The discussion was raised by Max Schrems activist, which campaigns for the right to privacy, for it is not incompatible exposure on the Internet and privacy, and governments can take care of it if they have interest, and he asks whether it is safe to send information to the US after Edward Snowden’s case, due to cyber monitoring by the US government. The discussion is essential and is far from complete, missing the side of citizens. 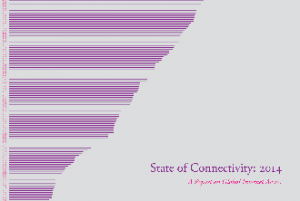 The data are from a study entitled “State of connectivity 2014: Report on the global internet,” which analyzes the current state of the network connection, the profile of the connected and which are not. According to the survey, in early 2015 was outnumbered the 3 billion people online, and this means 38% of the world population, if we discount old people and children who still do not connect directly, it can be said more half of humanity is connected in some way. This number was calculated by people who somehow connected to the internet from computers or mobile devices such as smartphones and tablets, as GeekWire site. 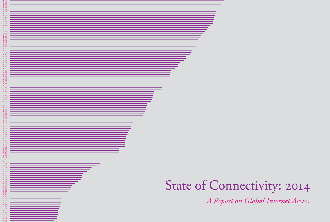 This difference increases when the comparison is made between developed and developing countries, where the first has a total of 32% of people who have not connected to the Internet is 32%. ; while in the second this number reaches 78%. The text cites Brazil as an indicator of maturity. The average of the connecting members 416 is megabytes (MB) per month. The study can be accessed by a Facebook page called Newsroom, which shows the evolution of the data and do other analyzes. 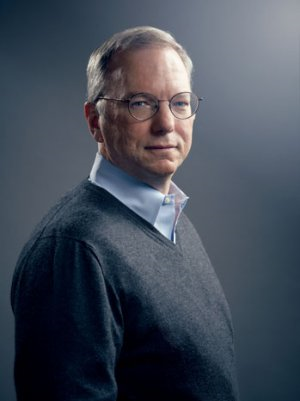 Not what you’re thinking, but the fact that it will become in such a way that this will be impossible to connect to something without using it, said the head of Google Eric Schmidt last Thursday in Davos, Switzerland, where they held the World Economic Forum. Asked about the future of the Internet replied: “I will answer very simply that the internet will disappear,” second video made available by the network of US television CNBC. But I did not mean by this that the Internet can follow the path of photographic film and floppy disks, but the understanding Schmidt is that the network will be in a way so present in our daily lives that will be inescapable. May be present in a person’s life the moment he is born, in every moment of a person’s life, his family life, medical, student and various social activities, of course with the law of “forgetting” which is the ability to disappear with unwanted record. It is indicating a survey done in Canada and in 24 countries, with 23,376 respondents who indicated that access the internet is key to economic future, important for the freedom of political expression, for it should be a human right. The survey was conducted by Ipsos Institute for GCIG (Global Commission on Internet Governance), and presented at the beginning of a two-day meeting in Ottawa on governance on the Internet. The World Commission on Internet Governance, the main host of the Ottawa conference, revealed that the world is on a path of struggle for power and many groups and governments have an interest in maintaining influence on all aspects of internet. But the study of this committee argues that most people do not want any nation or organization in control of the world wide web and therefore a matter of planetary citizenship, and the problem is who should regulate access and use the internet. The idea is that a group formed by a combination of specialists, engineers and non-governmental groups, is chosen by 57% of those who would be entrusted with this task, but 50% thought that the United Nations could carry out this work and there are still 36% that argue that the United States should take the lead in this area. The survey was conducted from October 7 to November 12 in the countries: South Africa, Germany, Australia, Brazil, Canada, China, South Korea, Egypt, France, Hong Kong, India, Indonesia, Italy, Japan, Mexico, Nigeria, Pakistan, Poland, Kenya, UK, Switzerland, Tunisia and Turkey. The CGIg which is chaired by diplomat and former politician Carl Bildt Swiss, shall submit its final report for future governance of the Internet in 2016.